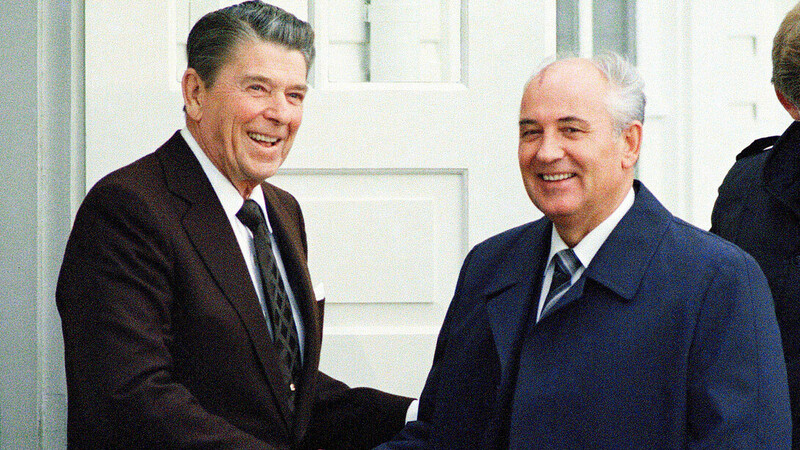 Ronald Reagan and Michail Gorbachev | Photo from Wall Street International. The year 1989 had brought great hopes and expectations. That was the year when millions protested against the Soviet and Chinese totalitarian leviathans and when West and East Germany unified. In the ex-Soviet empire, after East Germany, the keystone of Soviet controls over eastern Europe, defected from the Warsaw Pact in 1990 in order to unify with West Germany, popular demands for reform led to the independence of eastern European states. The Warsaw Pact then dissolved in March 1991. By August-December 1991, once Mikhail Gorbachev’s proposals for a New Union Treaty were thrown into the dust bin of history after the August 1991 coup attempt, popular demands for reform would crack the Soviet Union altogether, resulting in the abolishment of Communist Party controls throughout Russia and the fifteen former Soviet republics. The liberal-democratic nationalist, Boris Yeltsin, would sustain power from 1992 until 1999, after surviving a hardline coup attempt in 1993. Vladimir Putin would then take the helm as leader of Russia in 1999 as Acting President, and then as President for two terms, alternating with Dmitri Medvedev (2008–2012) in accord with the new Russian constitution, then becoming president again in 2012. Once in power, Putin would begin to centralize Moscow’s controls over the republics (which Yeltsin had decentralized) and over the major media, by way of eliminating his political opponents. In China, in the period April-June 1989, the best and brightest Chinese students engaged in nationwide protests to demand that the Communist Party implement major social, political, economic and anti-corruption reforms. By contrast with the Moscow’s effort to forge a new liberal democratic system of governance under Yeltsin’s leadership, Chinese Communist elites feared the domestic ramifications of Gorbachev’s and then Yeltsin’s reforms. Boris Eltsin | Photo from Wall Street International. Chinese Communist elites opposed the rise of a Chinese version of the Polish Solidarity movement, seen as backed by the US, that would overthrow China’s single party Communist rule. Although the majority of socio-political transformations throughout Communist countries were relatively peaceful, with the significant exception of Yugoslavia and Romania, Chinese leader Deng Xiao Peng and Premier Li Peng believed that they could meet the same fate as that of their favorite dictator in eastern Europe, Nicolae Ceaușescu, who was executed without a trial that might have exposed the regime’s significant crimes against humanity. Chinese elites also feared the psychological impact that the overthrow of the US-supported Marcos dictatorship by the Philippine People Power Revolution (also known as the Yellow Revolution) had on the pro-democracy Chinese student movement. In the entirely not-unfounded belief that the Chinese Communist Party could be the next domino to fall, Chinese leader Deng Xiao Ping, and his henchman Premier Li Peng, ordered the June 4th 1989 nationwide crackdown on the student-inspired democracy movement. After putting to practice non-violent techniques of civil disobedience, Chinese student demands for peaceful social and political reform and for an end to governmental corruption were repressed. 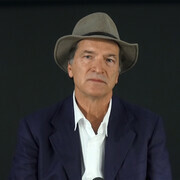 In the US, despite the violent crackdown on peaceful student protesters in China, which took place at a time when there were signs of a potentially violent breakup of Yugoslavia, neo-conservative and neo-liberal ideologues, such as Francis Fukuyama, began to argue that the “idea” of liberal-democracy was ascendant, as liberal democracy had triumphed over totalitarianism in the aftermath of the Cold War. Despite flaws in democratic governance, Fukuyama and others argued that there were no other viable options to liberal democracy. In effect, even though there might be so-called limited wars and acts of terrorism, the possibility of major power war was “waning” due to the global spread of democracy. A new post-Cold War era of global peace and democratization was at hand: The world was at the “end of history”. The “end of history” argument, first published by Fukuyama in The National Interest in the Summer of 1989, 1 did, at least initially, appear plausible in reference to the significant reforms taking place in eastern Europe and the Soviet empire, coupled with the pro-democracy protests in China. While Fukuyama was wary of a potential backlash, he nevertheless believed that powerful forces of liberalization and democratization had already been unleashed and thus the prospects for a successful long-term authoritarian backlash in either the Soviet Union or China were exaggerated. Fukuyama could have been proven right at least on the surface. The path to global democratization could have taken place—but only if the Beijing leadership engaged in a substantial dialogue with the Chinese students at that time, as had been urged by the General Secretary of the Communist Party of China, Zhao Ziyang, who opposed the crackdown demanded by Premier Li Peng. If (a big if) Zhao Ziyang had won his ongoing dispute with Li Peng, the prospects for peaceful steps toward Chinese economic reforms, anti-corruption measures, and the implementation of a Chinese version of democratic governance might have possessed greater plausibility. But that was not the path taken. Although his analysis appeared valid for eastern Europe and Russia for at least a decade, with respect to China, Fukuyama completely overlooked the violent backlash that was brewing at the time he published his “end of history” argument against the demands for democratic social and political reform, and against calls to put an end to Communist Party corruption. Chinese Communist elites militantly opposed the April-June 1989 democracy protests, and engaged in the swift and violent June 1989 crackdown on the students on Tiananmen Square and throughout China. The backlash in China would put a giant road block on the path to global democratization. It is highly ironic that after the June 4, 1989 crackdown, the Chinese Communist Party took advantage of the “neo-liberal” critique of the Chinese pro-democracy protesters in order to significantly boost its creaking economy. Deng Xiaoping, and his henchman Li Peng, may have violently repressed the student advocates of multi-party democracy, but the Party elites then stole many of their free market economic proposals and implemented those major neo-liberal economic reforms a few years later—liberal economic reforms that were assisted by China’s absorption of Hong Kong in 1997. Deng Xiao Ping | Photo from Wall Street International. The Chinese Communist Party sought economic development through privatization mixed with neo-liberal and dirigiste policies that the leadership hoped would sustain one Party rule. It was argued that the capitalist world would, in a phrase attributed to Lenin, sell China the rope that “capitalists needed to hang themselves”―as Beijing would be able to manipulate US, European, Japanese and Hong Kong investments to develop its full economic and military potential. And yet in adopting market liberalism in the 1990s, and by nipping the democracy movement in the bud in 1989, Beijing has ironically become the very model for neo-liberal authoritarianism! Absolutely contrary to Fukuyama’s predictions, Beijing proved that it was possible to be both “liberal” and anti-democratic. With respect to Eastern Europe, Fukuyama’s belief that Communist collapse would result in liberal democratic governance has not proven accurate either, although it took roughly three decades for democratic aspirations in eastern Europe to fade into near oblivion. What Soviet Foreign Minister Eduard Shevardnaze had called the “Sinatra Doctrine”— that it was better to let the eastern Europeans “do it (their) way”—has not turned out as positively as the upbeat lyrics of Paul Anka’s “My Way” proclaimed—in the song made famous by Frank Sinatra. Anka’s positive message of individualism and self-reliance (implying free enterprise and entrepreneurship) was, ironically, a total re-write of French songwriter and disco king Claude François’ more negative and depressing lyrics from the original song “Comme d’habitude” (Meaning: Always the same). The point raised here is that the reality of the eastern European crisis would eventually prove to be more like the depressing lyrics of “Comme d’habitude”, than the more optimistic and pro-capitalist “My Way” as sung by Frank Sinatra. This is true given the almost immediate break out of a horrific war in 1990-95 in Yugoslavia, and the impact of continual political-economic instability throughout much of the former Warsaw Pact and former Soviet Union—leading to the rise to power of Vladimir Putin in Russia in 1999. In contemporary circumstances, a number of authoritarian rightwing political parties in eastern Europe, such as Fidesz party in Hungary, and the Law and Justice Party (PiS) in Poland, have sought to undermine basic democratic structures, including the independence of the judiciary and freedom of the press—despite popular opposition to greater government controls. These populist and nationalist movements in eastern Europe have been accompanied by the rise of a number of far right and far left parties throughout Europe as a whole—in response to high taxation, inflation, uncontrolled immigration, and high levels of unemployment, raising questions as to whether the European social democratic model can be sustained. The European crisis has also raised questions as to the rationalization for NATO and EU enlargement to eastern Europe. It had been argued by the administrations of Bill Clinton and George W. Bush that NATO expansion was needed to sustain the path to liberal democracy after the collapse of the Warsaw Pact. Vladimir Putin | Photo from Wall Street International. In fact, however, both NATO and EU enlargement have represented major factors in provoking the Russian nationalist backlash under Vladimir Putin since 1999, while neither international regime has been able to prevent the retrogression of some eastern European states toward authoritarian systems of governance—despite NATO and EU expansion into the region. In effect, in the aftermath of the Cold War, aspirations for democratic forms of government in eastern Europe under European Union guidance have generally stalled and appear to be receding—raising questions as to how the European Union can be best reformed. Both Moscow and Beijing may have begun to liberalize, but not necessarily “democratize”—as post-1991 governmental reforms have actually reinforced the power of the Russian nomenklatura and of the Chinese Communist oligarchs by handing them much of the ‘commanding heights’ of the economy. Although popular hopes for greater social and political freedom in former Communist countries in 1989 were real, and represented a powerful force for socio-political transformation, the “end of history” thesis was a farce from the start. In no way did the American containment of the Soviet Union and China and the “defeat” and collapse of the Soviet Union at the end of the Cold War foster the path toward the democratization of Communist states. In parallel, in no way did Napoleonic imperialism and nepotism foster ideas of “liberal democracy” and “equality” in Prussia or in other European countries, as Fukuyama had claimed in 1989. Ideals of democracy and greater equality had to be fought for after Napoleon’s defeat at Waterloo—as during the 1848 revolutions in central and eastern Europe, for example. Ideals of “democracy” and greater “equality” (on a political and economic basis) must be fought for now. At the same time, however, Napoleon’s defeat of Prussia in 1806 did lead Prussian elites to make significant “liberal” social and economic reforms—if one can call those reforms “liberal”. Those significant reforms were believed to be necessary, not to “democratize” the society, but to co-opt Prussian citizens in the effort to ultimately militarize Prussia against France and all other possible future threats, and to ultimately unify Germany “by iron and blood” in Bismarck’s words under the Prussian boot. In adopting elements of “liberalism,” there was never any question of undermining the powers of the Prussian monarchy or somehow “democratizing” Prussian governance. Much as was the case for Prussia in the 19th century, after its defeat by France in 1806, neither Russia, nor particularly China, have sought to truly “democratize” their systems of governance in the aftermath of the so-called US “victory” in the Cold War. In 1806, Berlin had vowed never to let itself be defeated again by France or any other power while seeking German unification by force. Somewhat similarly, so too have Moscow and Beijing vowed not to let any country—including the USA—to defeat them in the aftermath of the Cold War and after China’s “century of humiliation” by way of forging a new Sino-Russian entente. In many ways, the Chinese Communist crackdown on student demonstrators in June 1989 was the first major warning bell that a world-wide anti-democratic movement was on the rise. A decade later, in 1999, Vladimir Putin would come to power after Boris Yeltsin stepped down, just after Yeltsin had warned President Clinton that NATO enlargement would provoke a Russian nationalist backlash. In February 2018, Chinese President Xi Jinping declared himself president for life in accord with the ideology of “new authoritarianism”―an ideology that was initially being articulated in the late 1980s, ironically at the same time that the Chinese democracy movement was able to mobilize the student population. Donald Trump | Photo from Wall Street International. And now, after the 2016 US presidential elections, the ‘want-to-be’ authoritarian, Donald Trump—who won the presidency not by the popular vote, but by the long outdated electoral college system—has taken steps to strengthen what President Eisenhower had called in his 1960 Farewell Address the US military-industrial-congressional-university complex. It has taken years of continual struggle to achieve the ideals of social and political freedom and greater economic equality since the early 19th century—and with no help from Napoleon—nor from latter day Napoleonic neo-conservatives, of which Fukuyama was once a member. After self-congratulating themselves for the Cold War strategy of containment that appeared to lead to the relatively peaceful collapse of the Soviet Union and Warsaw Pact in the period 1989-91 and the fostering of democratic governance, neo-conservatives and neo-liberals had both claimed that US and/or NATO military interventions in Kosovo in 1999, Afghanistan in 2001, Iraq in 2003, and Libya in 2011, plus support for democracy movements and “color” revolutions, would lead to the formation of democratic governance in many countries throughout the world. For the most part, however, these military interventions have done nothing but spread violence into more and more regions—a violence that now threatens to draw major powers, both democratic and anti-democratic, into direct conflict. Instead of coming to an “end” with the gradual global spread of democratization after the Cold War, history is now rapidly seeking its own spiteful vengeance in the form of populism, nationalism, and global militarization. The struggle to peacefully avert another World War is only just beginning. 1 Francis Fukuyama, “The End of History?” The National Interest (16) (1989). Francis Fukuyama, The End of History and the Last Man (The Free Press, 1992). See my critique of Fukuyama, in Hall Gardner, Crimea, Global Rivalry, and the Vengeance of History (New York, NY: Palgrave Macmillan, 2014). 2 Francis Fukuyama, “The End of History?” The National Interest (16) (1989). 3 Francis Fukuyama, “The End of History?” The National Interest (16) (1989). 4 Hall Gardner, World War Trump: The Risks of America’s New Nationalism (Prometheus Books, 2018).